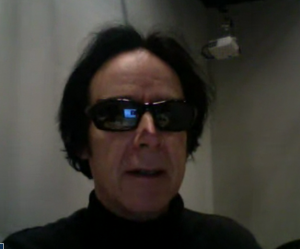 Naut Humon is the founder and artistic director of Recombinant Media Labs, and during the last decades was curating AV content for Asphodel Records in New York and SF and for select portions of the annual ARS Electronica Festival in Austria where he also helped coordinate their Digital Music category for ten years. Having performed in the past with the avant-garde music group Rhythm & Noise, he later formed the Surround Traffic Control network; the aural optic incubator that gave birth to today's Cinechamber apparatus. 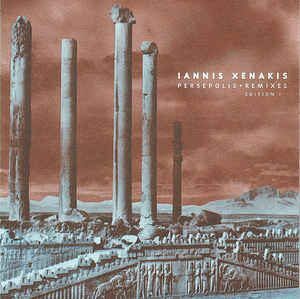 One of Xenakis’s first “polytope” multimedia pieces “Persepolis” was chosen for re-interpretation with customized remixes that the composer was aware was about to be released by Asphodel Records in 2001 when he passed away. The interlacing of the remix pieces by various composers draws largely from the original work, emphasizing its noisy sonorities and overlapping waves of intensity. Naut Humon who curated the customized re-workings applied those remix sources with other outside electronics from Frankenstein Symphony etc. for this dedication tribute remix to the future memory of Iannis Xenakis.